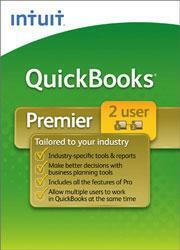 Teapplix integrates with your QuickBooks. ActionConnect™ can export orders from Amazon, Walmart, eBay, Jet.com, Sears Marketplace, Buy.com, etc. and shopping carts into your QuickBooks and help you track financials and inventory. You’ll get a clearer picture of your business’s performance with real-time P&L information and inventory control. Teapplix ebay accounting software provides a mapping system to map your listings from websites and marketplaces to items defined in QuickBooks. We support grouped items as inventory assemblies. Teapplix can also import orders from QuickBooks to print shipping labels. Get started with a Free Trial today! 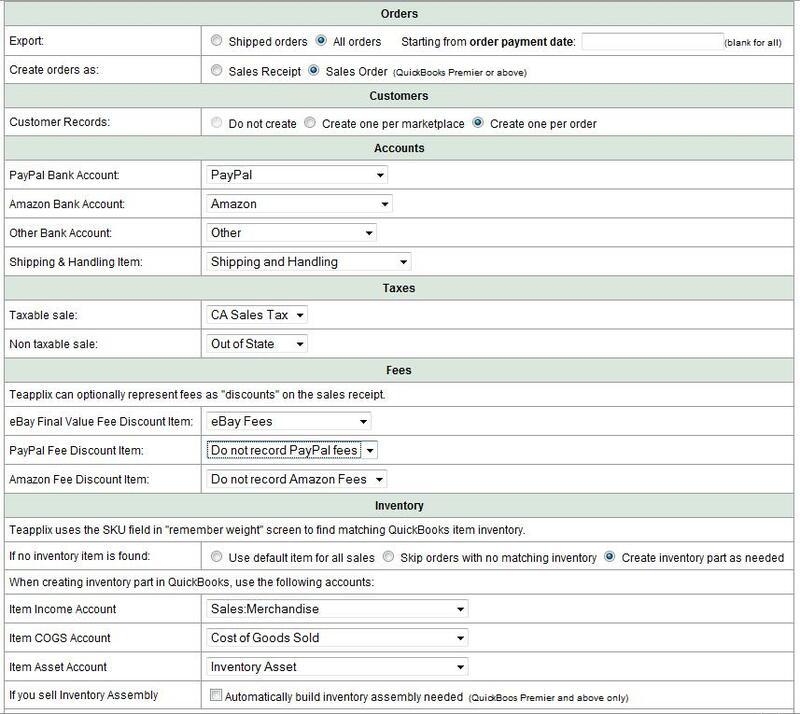 Automatically import orders from marketplaces like Amazon, Amazon FBA, Walmart, Jet.com, eBay, PayPal, Buy.com, etc. as well as your own shopping cart software. Map your sales to correct inventory part for proper inventory management, or map all sales to a default item. Individual orders, or group orders by date into a "Summary"
Use default inventory vs inventory lookup table. Eliminate manual data entry. Spend less time with paid accountants. Keep track of sales, taxes, and inventory.